Cerita Febrian: My Kinda Yogyakarta! If you're wondering which city in Indonesia has the lowest living cost, well, that's Yogyakarta. And what do y'know, right after Bandung, the #TripOfWonders journey continues to Yogyakarta, the city renowned for its batik and gudeg. This time I'm staying at the Royal Ambarrukmo Yogyakarta which isn't too far from the airport. What a lovely hotel, the perfect choice for those who want to go to Yogya and sleep soundly. Besides the epic swimming pool and mouth-watering breakfast, we can also experience tea time like the kings of old, isn't that cool? This hotel is huuuuge and boasts a friendly staff, so if you have any questions they're always ready to fill you in. If you ever come to Yogya, try staying here. I guarantee you won't regret it. Now, based on my experience with the #TripOfWonders squad the other day, I would like to recommend a couple of things for those of you who plan to go to Yogya. I'm sure almost every Indonesian reading this has been to Candi Borobudur (Borobudur Temple). It's no surprise, Candi Borobudur is the go-to destination for school field trips in Java. 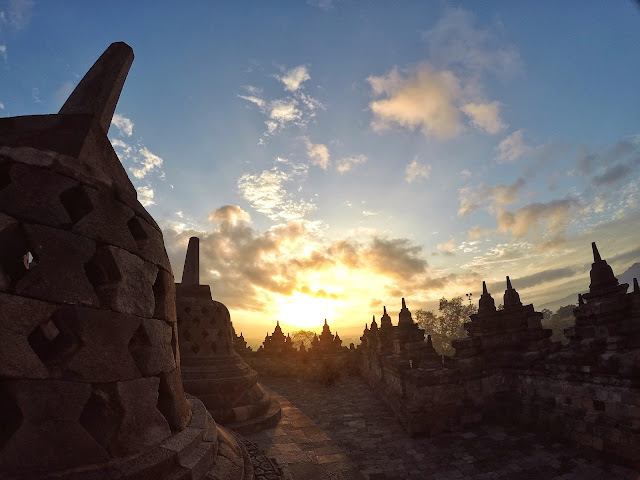 As a kid growing up in West Java, I went here for field trips twice when I was in elementary school and high school but I'm sure a lot of people haven't experienced sunrise in Borobudur. 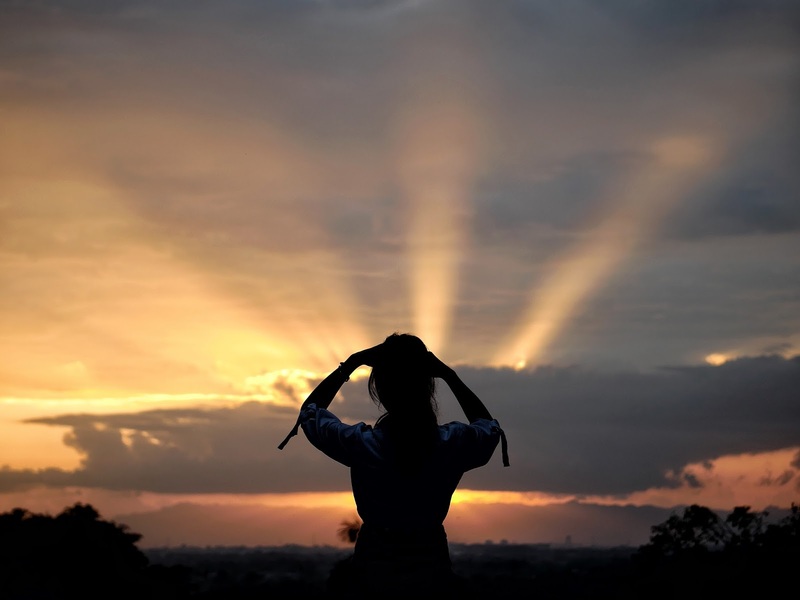 Trust me, it is such a magical moment when you see the sun rising and the stupas bathing in the new dawn; and most importantly, it's not hard to take photos. Well, that's important because the entrance ticket to view the sunrise isn't like your usual ticket, it's a little bit on the expensive side, like 40 times more expensive haha! This has never crossed my mind before, but we can actually go cycling in the Borobudur Courtyard, and it's really fun! 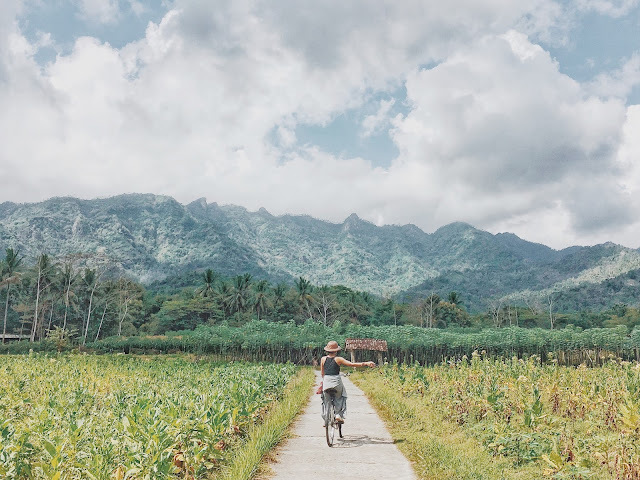 The tracks go through rice fields, the villages surrounding Borobudur and ends at a crafts workshop where we can experience how it feels to create batik, make pottery from clay, eat snacks and drink tea. This package is offered by Plataran, very exciting! Candi Ratu Boko became more well known after appearing in the highly popular film AADC2 (Ada Apa Dengan Cinta 2). Since then, this place tends to get really crowded with people wanting to view sunsets. The challenge is similar to Borobudur, it's difficult to take photos between the entrance gate because everyone is there to enjoy the sunset, once in awhile there'll be an airplane passing by, adding an extra wow factor to your dusk scenery but still, this place is super instragramable so even if there's a big crowd, you should totally come here. Even though I've been here more than I can remember, not just once or twice, I never get tired of going to Yogya. Aside from going for a culinary adventure, sometimes I come here just because I miss Borobudur and its magnificence or to simply visit my friends but the main reason is because Yogya is reasonably priced, you won't be burning your pocket if you go on holiday here. Happy traveling, I hope we cross paths! sunset lau sih keren abis choi!